The all-new 2018 Volkswagen Tiguan was designed with families in mind, and with new technology, plenty of interior space and an exterior design that’s as classic as it is modern, it checks all the right boxes for those in need of a practical, fun-to-drive crossover. New for 2018 is the ability to spec your VW Tiguan with a third row. Now, that third row isn’t the largest, but if you’re in need of a seven-seater, then the Tiguan’s got you covered. And unlike the previous generation, this new version has gobs of cargo space with 1,065 litres (without the third row installed). Passenger space is ample as well, with lots of room for all-sized family members, as well as easy entry and exit. Revised for the 2018 model year, the Tiguan’s 2.0L turbocharged engine is peppy and responsive. 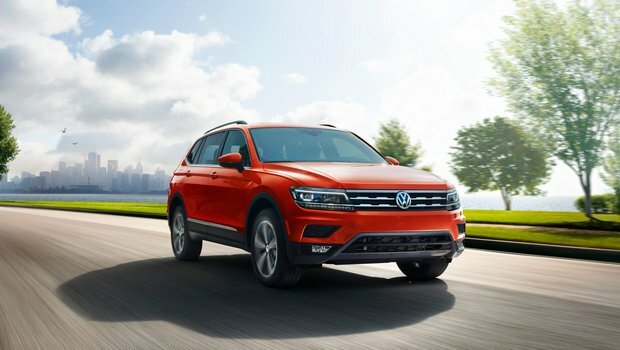 Producing 184 horsepower and 221 lb-ft of torque, the VW Tiguan offers up a lively ride that’s sure to excite the driver of the family, without upsetting the groceries in the back. Power delivery is smooth and coupled with an 8-speed automatic transmission (the only transmission option available). 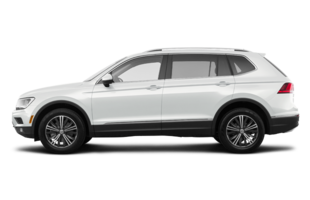 The 2018 VW Tiguan is also available with 4MOTION on select models, which means your stylish crossover will keep you pointed in the right direction in any and all weather and road conditions. Inside the 2018 Volkswagen Tiguan, you’ll find a well-appointed cabin with soft-touch materials and a layout that’s both functional and aesthetically pleasing. Standard equipment includes Apple CarPlay and Android Auto. An optional 8.0” Composition Media touch screen gives the Tiguan an upscale and luxurious feel, as does the available fully digital gauge cluster (standard on Comfortline and Highline models). The all-new 2018 Volkswagen Tiguan perfectly blends design and functionality in a crossover that’s engineered to fit your lifestyle and your driving needs. Comfortable for all passengers and driver, with plenty of rear space and a great drive, the Tiguan might just be the ideal when it comes to crossovers. 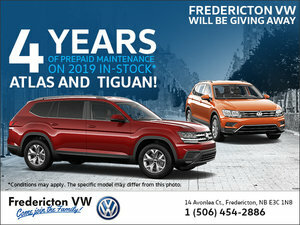 To find out more about the 2018 Volkswagen Tiguan, head down to your local Fredericton Volkswagen dealer to speak to one of our experts, and don’t forget to book a test drive, too.